Several almost complete Diplodocus skeletons were excavated. This giant sauropod (a plant-eating dinosaur), whose small head was just 1^2 ft (0.5 m) long, stripped leaves from trees with its peglike teeth. 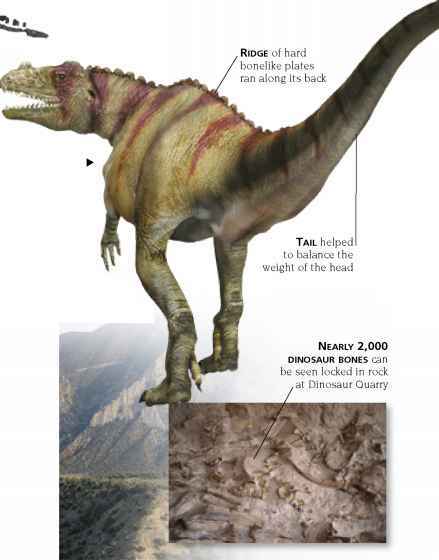 Several Allosaurus have been collected at the Dinosaur National Monument. 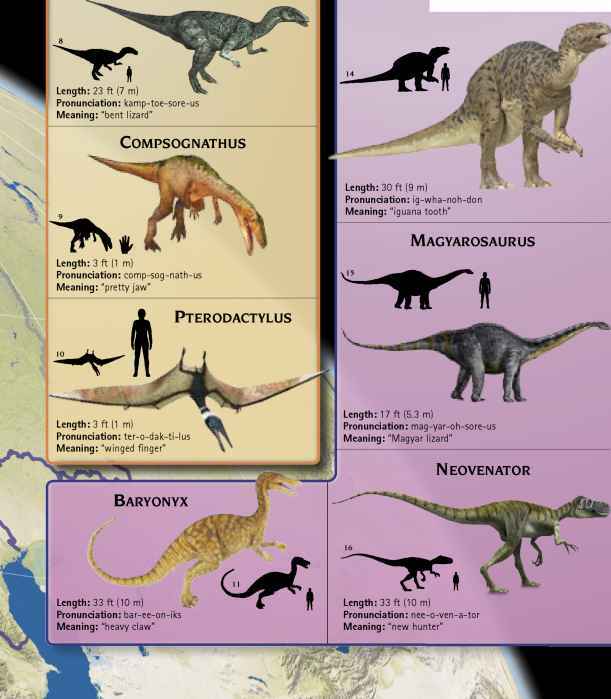 The large carnivore of the Jurassic Perioc an adult reached lengths of 39 (12 m). Its long teeth sliced in' flesh then, as it tossed its hea from side to side, its powerful jaws tore a chunk from the body of its prey.